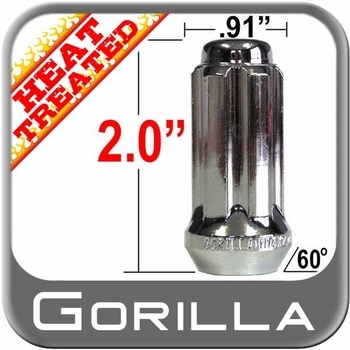 The quality plating finish gives years of driving without having to worry about corrosion. .
Top quality hardened steel was used to make each of these small diameter lug nuts. Able to meet any manufacturer's specifications because of precision engineering that goes into each nut. top quality product and excellent customer service. Originally ordered the wrong product, customer service made the exchange and replacement process smooth and hassle free.